To view a complete listing of our services that help provide headache relief, patient testimonials, and more information, please visit our dedicated site at www.BayBreezeHeadacheRelief.com. Most people have never thought about discussing their symptoms of Headache, Migraine, Neck and Face pain, or even TMJ/Jaw Pain with a dentist. Historically, it has been commonplace to speak to general practitioners or specialist physicians about these conditions and their symptoms simply because those were the only medical professionals you could turn to for help. This is no longer the case. The focus for treating pain has shifted — to Neuromuscular Dentistry. Dr. Santana and her team are one of roughly 300 neuromuscular dentistry practices in the country and the ONLY DOCTOR IN SEACOAST NEW HAMPSHIRE THAT IS TRAINED WITH PATENTED METHODS TO RELIEVE THE SYMPTOMS OF HEADACHES AND MIGRAINES WITHOUT THE USE OF SURGERY OR DRUGS. 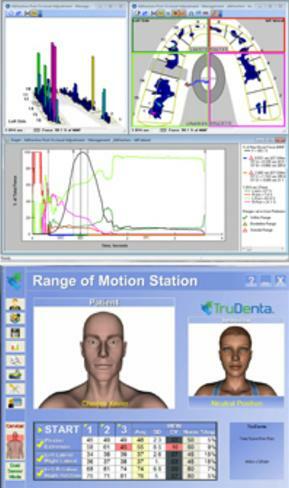 The diagnosis involves computer technologies to analyze the bite forces in the mouth, as well as comprehensive Range of Motion examinations of the muscles in the head and neck. The head and mouth are home to a variety of nerves, muscles, tendons, ligaments, joints, and bones, which affect your overall health and well-being. The forces created by these elements, when not properly balanced, can result in serious conditions that include headaches and migraines; chronic head, neck, and face pain; clenching; grinding; broken teeth; popping of the jaw; and numerous other symptoms. Utilizing a combination of systems and methods perfected in sports medicine, along with advanced bite balancing dentistry, Dr. Santana and her team are able to quickly diagnose symptoms and provide a pain-free, drug-free, needle-free treatment solution. This treatment will provide you lasting relief for issues from which you may have suffered for years. We also help reverse the unbalanced bite that leads to painful dysfunctions of the TMJ and dental foundation. Schedule an Office Visit with Dr. Santana Today — You’ll be Glad You Did!